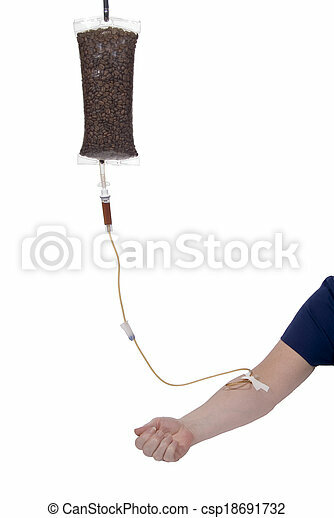 Coffee iv into woman's arm. Morning coffee delivered by an iv bag and tube. Morning coffee delivered by an IV bag and tube.